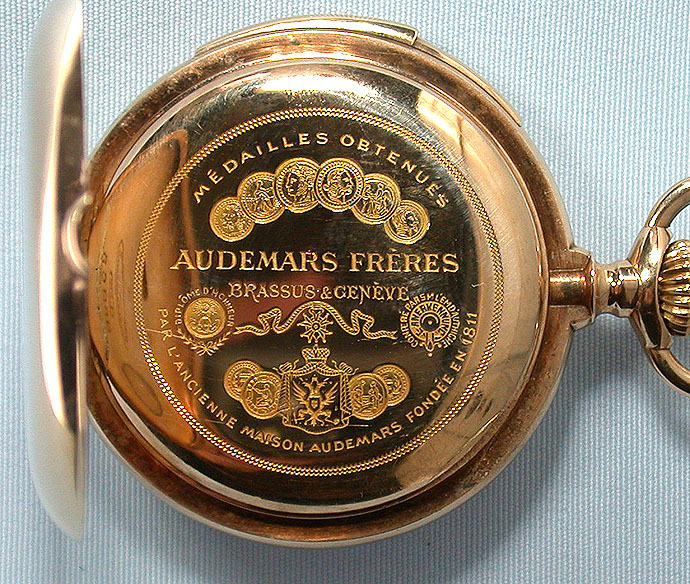 Fine and very small Swiss 18K gold Audemars Freres minute repeater circa 1900. 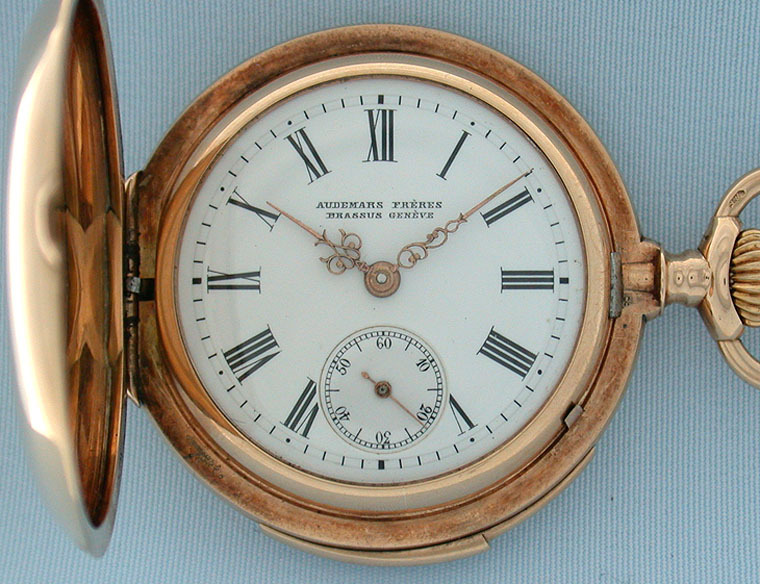 White enamel dial with black markings and fancy gold hands. 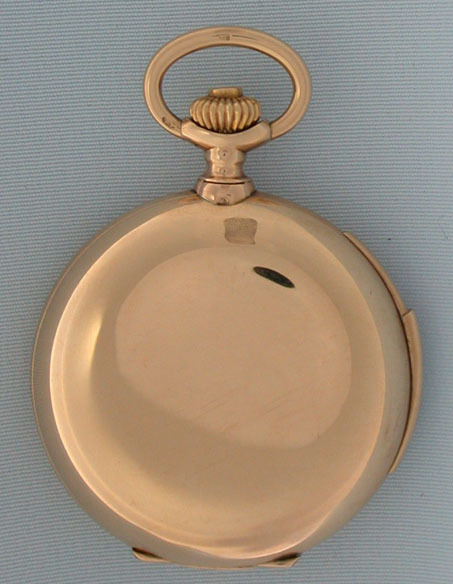 Plain polish hunting case with slide in the band to activate the repeater. The dust cover with medals won by the manufacturer. 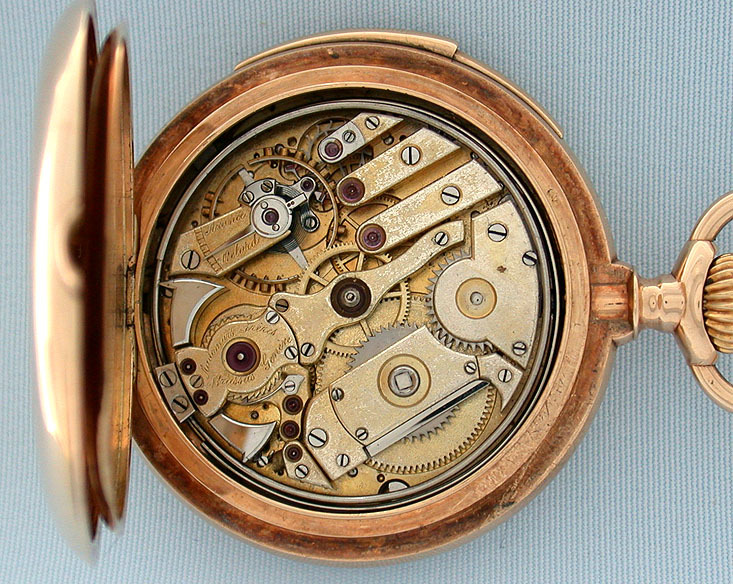 Fine mottled frosted gilt 24 jewel movement jeweled to the center and the hammers and with wolf's tooth winding. Excellent tone for such a small watch. 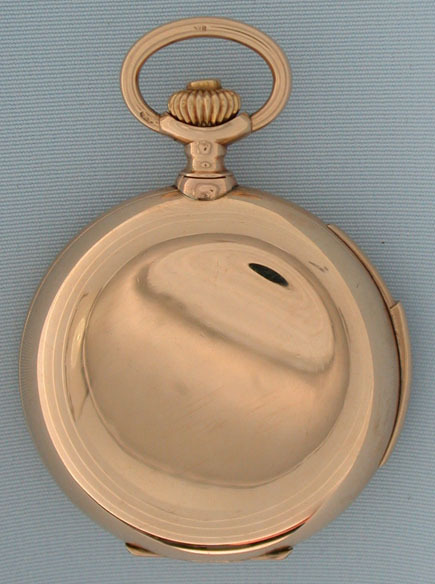 When activated, this watch chimes the exact time using different chime tones to designate the hours, quarter hours, and minutes.